"1984" is a classic political science fiction novel that has had great impact since its publication in 1949. Many of its terms and concepts, such as Big Brother, have entered everyday use, while because of it the adjective Orwellian has come to describe official deception, surveillance, and manipulation by a totalitarian state. 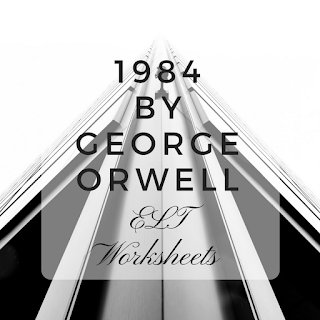 The lesson that follows is based mainly on selected extracts from the Appendix where the principles of Newspeak as a way of controlling people are explained. The pre-reading activities offer an opportunity to revise main political terms. Suitable for older teens and adults, level B2 or higher.